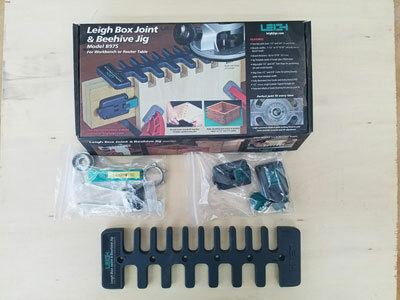 In the April 2018 issue of Wood News, Jeff Fleisher take a closer look at the all new Leigh B975 Box Joint & Beehive Jig, a great new tool that simplifies the process of making box joints and ensures the consistency of your joints. The Leigh Box Joint & Beehive Jig is the perfect jig for you to have in the shop to make box joint joinery. Since boxes are one of the first projects that woodworkers make, the box joint is one of the first joints that a woodworker might try, so having this jig on hand is highly recommended!